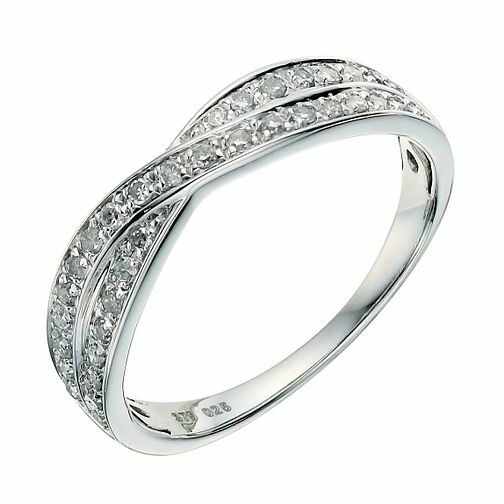 9ct white gold quarter carat diamond crossover wedding ring. A stunning design with simple but effective detailing. 9ct white gold crossover 0.25ct diamond wedding ring is rated 4.4 out of 5 by 5. Rated 2 out of 5 by Anonymous from Nice ring but too thick I would have worn this as an everyday ring but I didn't feel like it looked like a wedding ring so took back and exchanged. I found it too thick and not sparkly enough and don't feel it was worth the price.